Hosting a conference is no small feat, and our conference team has worked hard to bring this year’s conference to Orlando, Florida. 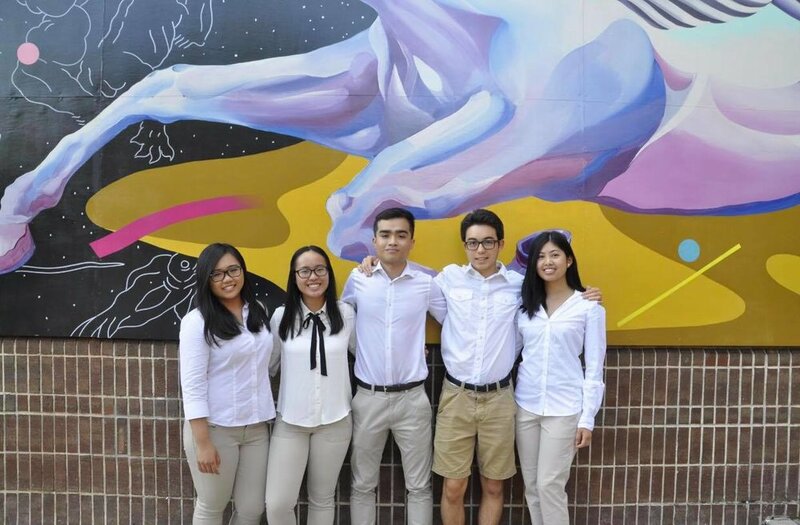 As the 2019 ECAASU Conference nears, Managing Editor Sylvia Guan sat down to chat with Conference Director of Finance Tammy Truong about her experience working to bring the team’s vision to life. To register for ECAASU Conference 2019, please visit www.ecaasu.org/registration. Deadline for Regular Registration has been extended to January 15, 2019. Sylvia Guan: Why did you want to join ECAASU/Conference Team? Tammy Truong: I was currently looking for more ways to be a part of the community and strengthen my leadership and communication skills as well. So when I attended SERCAAL at Florida State University and heard that applications to be a part of the team were open, I took that chance. Prior to that I had also attended ECAASU 2016 in North Carolina and it sparked my ongoing interest in advocating for what you believe in and support along with wanting to build a network of friends. Was there something specific at the ECAASU 2016 conference that sparked that interest? TT: At that time, I attended the conference not knowing anything about what ECAASU was about, and I learned so much from just that weekend. And it made me want to grow more as a person and be someone that others can go to for advice and such. Overall, meeting so many individuals that were so passionate about their work made me strive to find something that I was so passionate about. Today, I find that my current goals include being a leader and being able to inspire and teach others with my choices and lessons that I have learned in life. What's been your favorite part of the process? TT: My favorite part of the conference planning is being able to work together with just amazing and hardworking friends that I got to get to know throughout this time. Would you say you’ve grown since joining the conference team? And if so, how? TT: I would definitely have to say that I have because I have learned a lot about working with different types of personalities and how to adjust myself to them to make sure things get done. This has also taught me to be more flexible and to not always do everything myself and to be able to delegate tasks. Balancing different personalities can be challenging, especially with so many team members! How would you say that you all came together to come up with the vision for the conference and ultimately what to focus on? TT: We all recognized that we all came together to prepare an awesome conference for everyone to enjoy, and as the day of conference continues to come closer we are all pumped to finally show attendees all our hard work. Specifically in the finance team, we were able to work together to raise money for the conference and also work with other teams, such as marketing & outreach to design and order merch. What are some things people can look forward to in Orlando 2019? TT: ECAASU 2019 has some awesome items and merch that will be raffled off, and for this year I was able to get a few members help me get a hold of a few tech items that some people will want. Last question! What is one thing you hope people who attend the conference will take away from it? TT: I hope people will be able to take away as much as I had when I attended one of ECAASU’s conferences, which is to be honest to yourself and strive for your goals.